Aruba is an Island I have wanted to visit for a while. My grandparents visit Aruba a couple of times on various cruises and since then I haven’t stopped looking at photos of what seems to be such a beautiful and romantic holiday destination. Aruba, also known as the One Happy Island, is a small (just 20 mile long) Dutch island located off the coast of Venezuela. 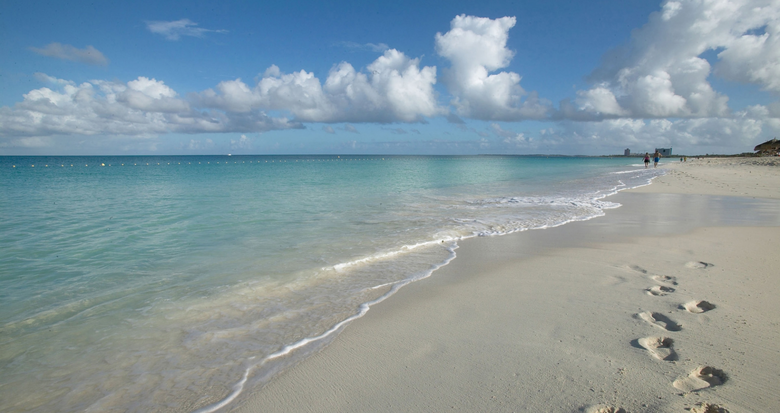 It boasts some of the best beaches in the world, you can see why in some of the photos below. A stunning location for anyone and any occasion. 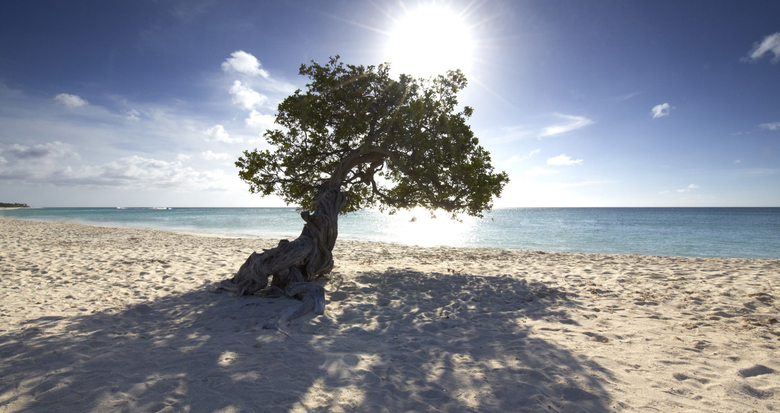 Aruba is a tourist favourite thanks to it’s dry climate. It’s located just outside of Hurricane Alley meaning there’s rarely a rainy day in Aruba. Perfect for a guaranteed sun-filled holiday on some of the most stunning beaches. 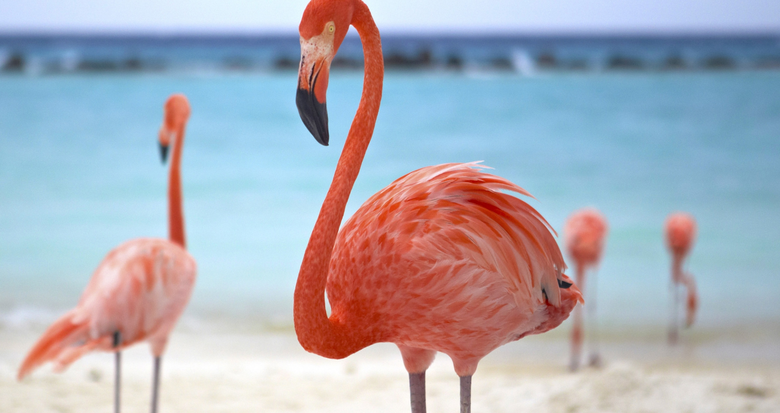 Including Flamingo Beach on Renaissance Island, an exclusive adult-only beach hosted by Renaissance Aruba Resort. A stunning beach with, you guessed it, Flamingoes roaming the beach. There are plenty of beaches and coastal points to literally dive in to and soak up what the ocean has to offer: coral reef; tropical fish and more! 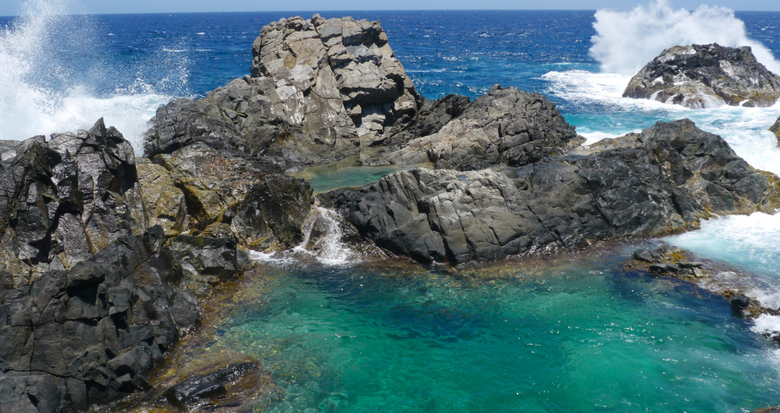 Visit the West Coast for the best of Aruba’s Water Fun! The image above is of the gorgeous Conchi Natural Pool located in Arikok National Park, a must experience for tourists. If you’re anything like me (a beginner and lacking confidence when diving) then De Palm Tours will win you over for beginners experiences! They offer everything from Submarine tours to Underwater Helmet Walking so you won’t miss a thing. The hotel strips and capital Oranjestad play host to a wide range of multicultural cuisine from restaurants to bars and sweet little beach front cafes. You can find everything from South American to Asian, Steak houses to Al fresco dining. Aruba really does offer everything you heart desires in terms of food. Did you know 20% of Aruba’s energy is generated by Wind Turbines? And the island plans to go 100% fossil-fuel friendly by 2020?! It’s incredible to think such a small island cares about the ecosystem and sustaining it. Even people of Aruba respect and appreciate the flora and fauna of Aruba meaning every where you look there is natural beauty in it’s rightful place. Locations such as Eagle Beach where the Fofoti Trees scatter the beach beautifully really show it’s natural beauty in contrast to the . Aloe Vera was first planted on the island in 1800s, and today it is in the big business for it’s uses in everything from hand creams to treating sunburn. 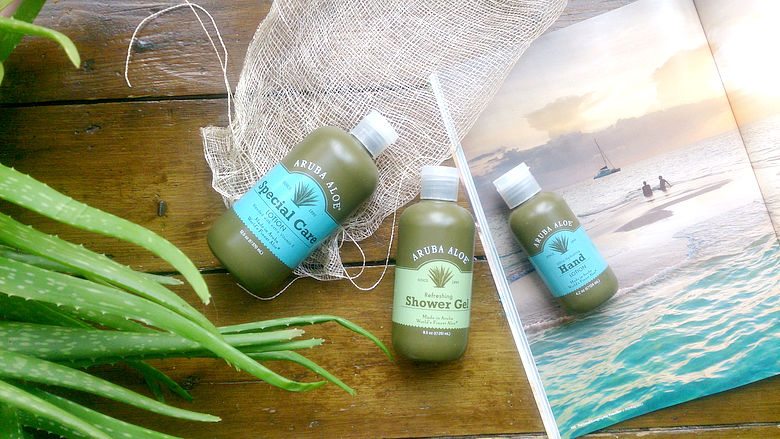 Aruba Aloe Museum Factory and Store provide an insightful tour on the history of aloe, the process of extracting its gel and the making of Aruba Aloe products* including suncare, moisturisers, deodorants and more! The products, especially Special Care Lotion and Shower Gel have been treating my skin very well after the sunburn I accidentally got during all the dog walks last week!  To discover more of what Aruba has to offer pop along over to this site. Have you ever been to Aruba? I’d love to hear your thoughts if you have! If not, is Aruba somewhere you would like to visit? It looks so picturesque! You may have convinced us! ARUBA, JAMAICA, OOOOH I WANNA TAKE YA, TO BERMUDA, BAHAMAS, COME ON PRETTY MAMA. … okay enough Beach Boys. But seriously every time someone mentions any of the above places I get that song stuck in my head for AGES.